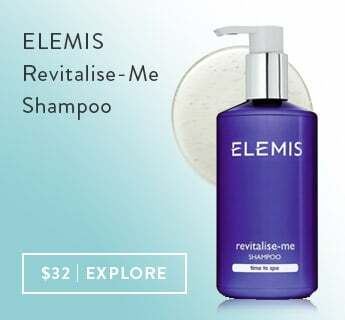 ELEMIS Pro-Collagen Marine Cream SPF 30 - ELEMIS bestselling anti-wrinkle cream has now been formulated with a revolutionary blend of sunscreen to offer superior broad spectrum protection. ELEMIS Pro-Collagen Oxygenating Night Cream - This luxurious cream gel has been specifically formulated to help the natural regeneration of your skin while you sleep, with proven results. 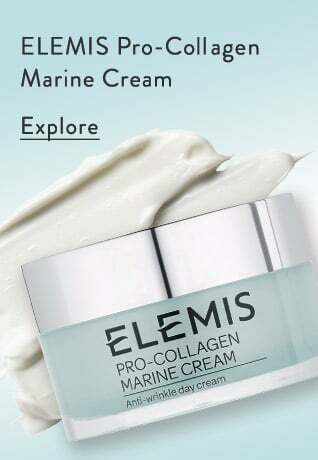 ELEMIS Pro-Collagen Marine Cream SPF 30 - Apply every morning to cleansed, dry skin. Always use upward stroking sweeping motions when applying moisturiser to the face. ELEMIS Pro-Collagen Oxygenating Night Cream - Apply to a cleansed skin every evening. Apply a pea size amount. Warm between the palms and smooth over the face. 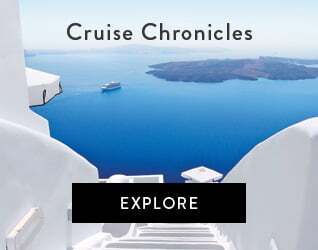 Avoid direct contact with eyes. ELEMIS Pro-Collagen Marine Cream SPF 30 - Aqua/Water/Eau, Glycerin, Caprylic/Capric Triglyceride, Glyceryl Stearate SE, Isononyl Isononanoate, Dicaprylyl Carbonate, Dimethicone, Butyl Methoxydibenzoylmethane, Ethylhexyl Methoxycinnamate, Phenoxyethanol, Polyacrylate-13, Butylene Glycol, Cetyl Alcohol, Hydroxyacetophenone, Octocrylene, Stearic Acid, Tocopheryl Acetate, Coco-Caprylate, Xanthan Gum, Chlorphenesin, Polyisobutene, Fragrance (Parfum), Disodium EDTA, Lecithin, Tocopherol, Butyrospermum Parkii (Shea) Butter, Citric Acid, Daucus Carota Sativa (Carrot) Root Extract, Triticum Vulgare (Wheat) Germ Oil, Chlorella Vulgaris Extract, Glyceryl Polyacrylate, Benzyl Benzoate, Glyceryl Acrylate/Acrylic Acid Copolymer, Padina Pavonica Thallus Extract, Sodium Dehydroacetate, Polysorbate 20, Sorbitan Isostearate, Ginkgo Biloba Leaf Extract, Porphyridium Cruentum Extract, Dipropylene Glycol, Citronellol, Geraniol, Hydroxycitronellal, Citrus Limon (Lemon) Peel Oil, Limonene, Potassium Sorbate, Sodium Benzoate, Citrus Aurantium Amara (Bitter Orange) Peel Oil. ELEMIS Pro-Collagen Oxygenating Night Cream - Aqua/Water/Eau, Glyceryl Stearate SE, Glycerin, Isononyl Isononanoate, Ethylhexyl Palmitate, Lauryl Laurate, Butyrospermum Parkii (Shea) Butter, Ethyl Macadamiate, Propylene Glycol Dicaprylate/Dicaprate, Simmondsia Chinensis (Jojoba) Seed Oil, Oryza Sativa (Rice) Starch, Laminaria Digitata Extract, Persea Gratissima (Avocado) Oil, Sesamum Indicum (Sesame) Oil Unsaponifiables, Triticum Vulgare (Wheat) Germ Oil Unsaponifiables, Padina Pavonica Thallus Extract, Algae Extract (Red Algae), Acacia Decurrens Flower Extract, Rosa Damascena (Rose) Flower Oil, Hexapeptide-9, Phenoxyethanol, Cetyl Alcohol, Potassium Cetyl Phosphate, Sodium Polyacrylate, Fragrance (Parfum), Butylene Glycol, Chlorphenesin, Glyceryl Polyacrylate, Glyceryl Acrylate/Acrylic Acid Copolymer, Phytosterols, Sodium Dehydroacetate, Disodium EDTA, Olea Europaea (Olive) Fruit Oil, Hydroxyisohexyl 3-Cyclohexene Carboxaldehyde, Linalool, Citronellol, Tocopherol, Limonene, Geraniol, Cedrus Atlantica Bark Oil, Citrus Paradisi (Grapefruit) Peel Oil, Citrus Aurantifolia (Lime) Peel Extract, Malic Acid, Tocopheryl Acetate (Vitamin E), Citric Acid, Mannitol, Sodium Hydroxide, Diatomaceous Earth, Zinc Sulfate.